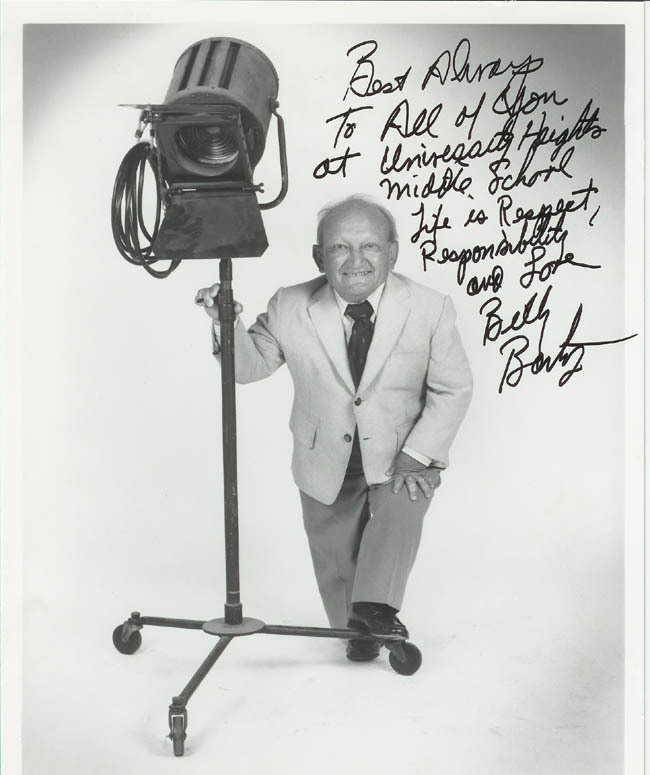 Billy barty is one of the best known of Hollywood's "little people". He was born in in 1924 and began his film career at the age of nine. He appeared in nearly 100 movies and TV shows before his death in 2000. In later years he was often cast as a "creature" which obscured his face with makeup and masks. Although my students are often familiar with his work, this photo is often the first time they saw his face.